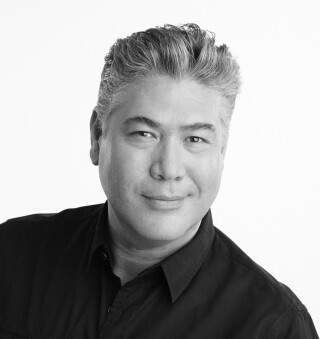 Bio: Renowned agent Jonathan Phang, began his career three decades ago, managing some of the world’s most influential fashion models and photographers, including Jerry Hall, Naomi Campbell, Tyra Banks and Liv Tyler. He then landed a role as a judge on the hit show 'Britain’s Next Top Model' and the award winning 'Britain's Missing Top Model' on BBC3. Jonathan grew up in a Chinese-Caribbean household so when Jonathan entered a competition on The Good Food Channel’s, 'The People’s Cookbook' using one of his mother’s recipes he ended up winning. As a result he was invited to appear on 'Market Kitchen' and he's hosted a ten part series for the Food Network UK called 'Jonathan Phang’s Caribbean Cookbook', exploring the melting pot of cultures that form Caribbean cuisine. Jonathan’s latest project 'Jonathan Phang’s Gourmet Trains', sees him jump aboard some of the world’s most iconic trains, in a mouthwatering journey across the globe. Description: Jonathan is a self confessed bon viveur who's no nonsense, straight talking, yet caring approach as a judge on 'Britain's Next Top Model' made him instantly popular with the public. His voice is recognisable, warm, full of charm, upbeat and characterful.